Who is Steve Perry - Doctor of Chiropractic? I am an avid lover of life - of all things living. I am in awe and wonder about how the little parts of the whole fit together to create a beautifully working symphony much larger and grander than any of the individual pieces. From an early age, I began taking things apart because I wanted to see how those parts kept the larger machine going. I took apart speakers, watches, radios, Walk-Mans ® (which were WAY cool back in the day); anything with screws indicated that there were neat parts inside that I needed to figure out. I loved figuring out exactly how things worked, I was catapulted in this direction by my second grade teacher. To this day, Mrs. Ferris-Steed remains one of my all-time favorite teachers. I remember with great detail the day she dissected a cow's eye and a sheep's brain in front of the whole second-grade class. My life changed then and there. 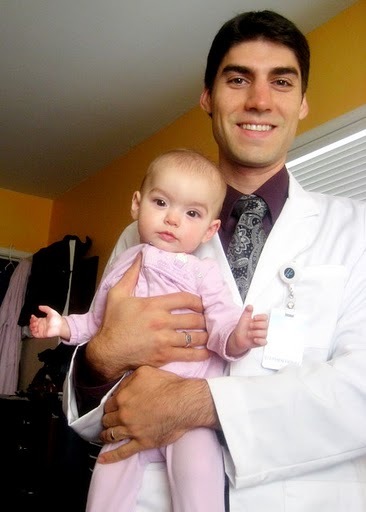 So, why Doctor of Chiropractic as a profession? Chiropractic has allowed me to continue my amazement and fascination for life. I always knew I wanted to help people, but wasn't sure how. I majored in Exercise Science at Brigham Young University from 1998 to 2006 with a couple of breaks to spend time serving in Russia, Moldova, and Afghanistan. I spent 2 years on a church service mission in Russia and Moldova and a year and a half training for and deploying to Afghanistan with the Utah Army National Guard. These educational and life experiences have allowed me to have a unique perspective as I turned my fascination of life to the greatest of all of God's creations - human beings. A Doctor of Chiropractic is a doctor with a vast knowledge about the proper functioning of the human body. Chiropractic is the application of controlled forces into a human being to correct the cause of structural and neurological imbalance within the body. The body has an intelligent design and is able to run itself in a healthy way given proper circumstances. Due to life's bumpy path, there are occasionally physical barriers to the expression of health. Chiropractic helps to remove restrictions that occur in the spine thus allowing the body to function in its most true and uninhibited sense. Who am I? I am a husband, a father, a Wellness Expert and a Doctor of Chiropractic, I am trained at helping my fellow human beings express their God-given right to health and vitality through role modeling, education, encouragement, lifestyle enhancement, chiropractic adjustments, and most of all, love. Welcome to the world of Chiropractic Wellness - where people become whole. Are you moving well? Could you benefit from having a more fully functioning brain and nerve system by having a body that's moving optimally? Email Doctor Steve at stephenperry (at) gmail (dot) com to find a chiropractor near you to move towards wellness.